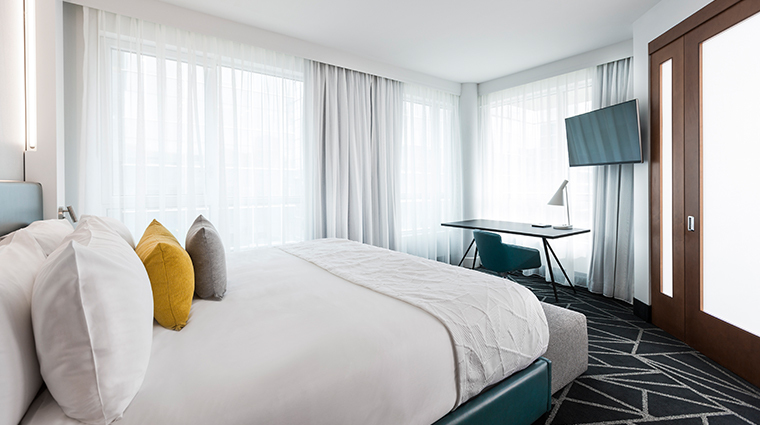 In a sea of generic hotel chains, Forbes Travel Guide Recommended Hotel Le Crystal offers the individuality of a boutique property in the heart of downtown Montreal, with urban-chic suites providing plenty of local flair. 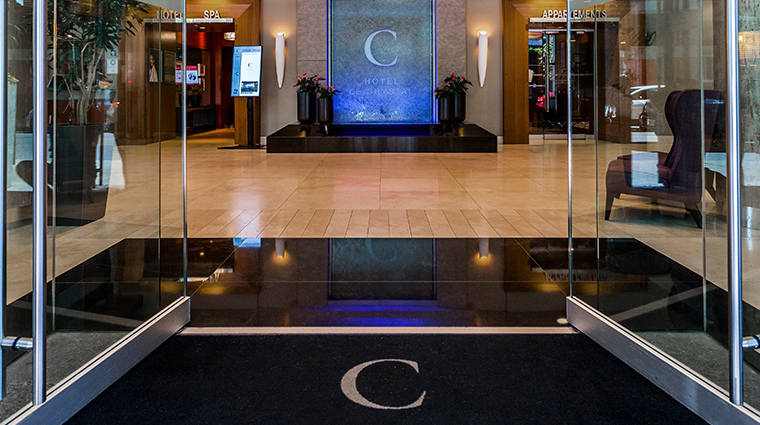 Within walking distance to the city’s business and shopping districts and kitty-corner to The Bell Centre where the beloved Montreal Canadiens play home games, the suites at Hotel Le Crystal provide everything you need for a business trip, romantic weekend and family getaway, including well-equipped kitchenettes, a functional space to work and cozy living areas. The stylish Montreal hotel is about to get a lot more luxurious as it begins renovations on all of its suites. 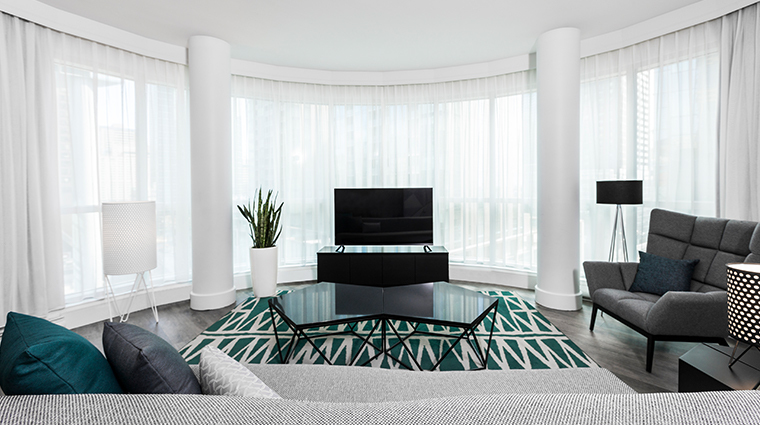 Expected to debut in late spring 2019, these chic new spaces will range in size from a cozy Loft Suite to the palatial 11th-floor Penthouses, all with supremely comfortable king beds and spectacular city views. You won’t have to pay extra for perks that include easily available newspapers and magazines, Wi-Fi, and tea and coffee, as well as special touches such as gifts and games for the kids. 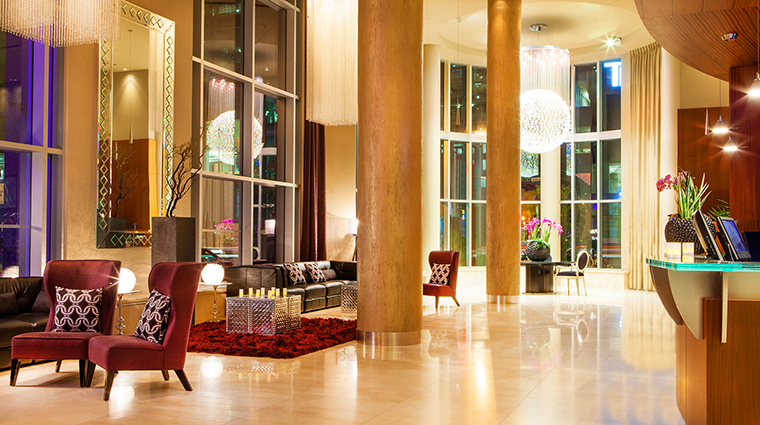 Hotel Le Crystal sets itself apart from nearby chain hotels with a focus on local flavor. 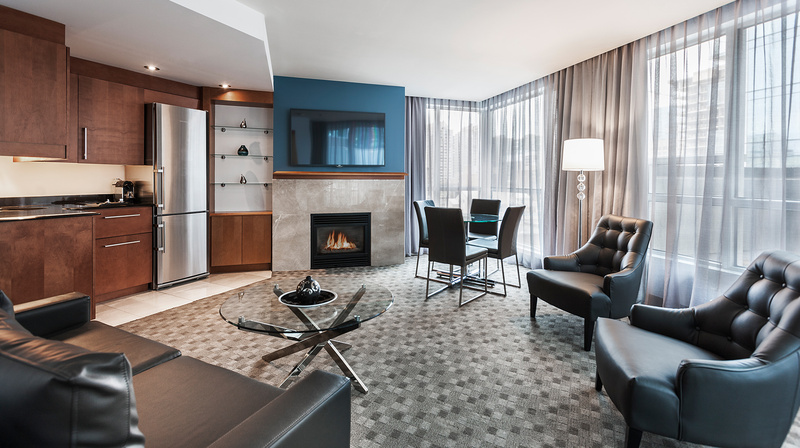 Your stay is enriched with Montreal-inspired art on every floor and local artists showcased gallery-style in the spacious meeting rooms. Arists are also showcased at the monthly Art & Bulles soirées, where guests are invited to discover a local artist over sparkling wine and canapés in the hotel lobby. Enjoy contemporary Thai cuisine and creative themed cocktails at the newly opened Siam Centre-ville, either in the stylish dining room or out on the sunny terrace. And be sure to head to the in-house Amerispa for its signature treatment incorporating locally brewed ice cider. 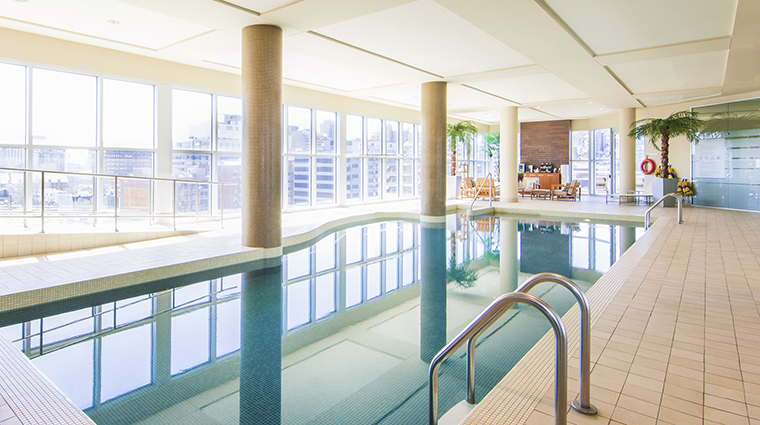 Hotel Le Crystal has a well-equipped fitness center as well as an outdoor Jacuzzi complete with an unbelievable view of the city. 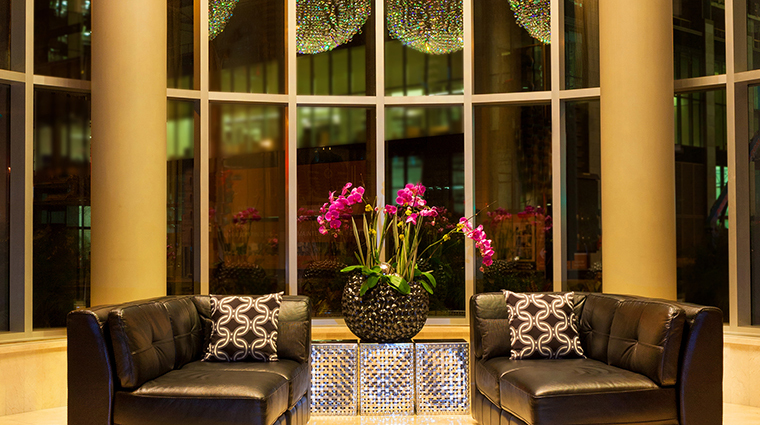 Location is key: The hotel is about 45 minutes by taxi from the airport and 10 minutes from the train station. 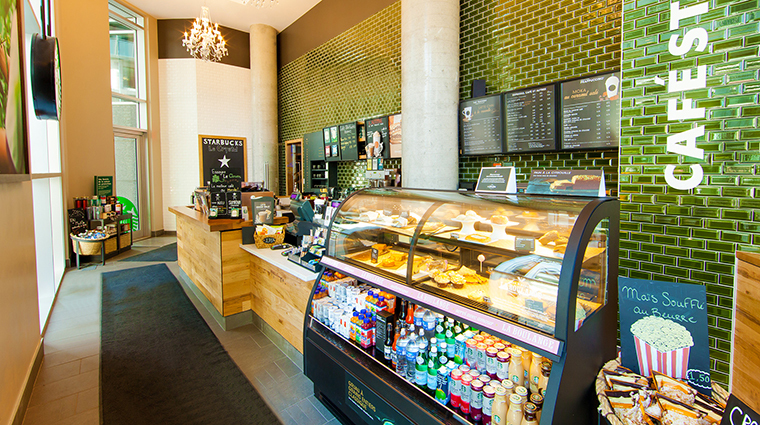 And leisure travelers will enjoy being close to the city’s museums and Montreal’s best summer festivals. Summer may be the high travel season in Montreal, but fall is lovely at Hotel Le Crystal, where you can dine on the restaurant's heated terrace, warm up by one of the fireplaces and feast on soul-warming seasonal cuisine. 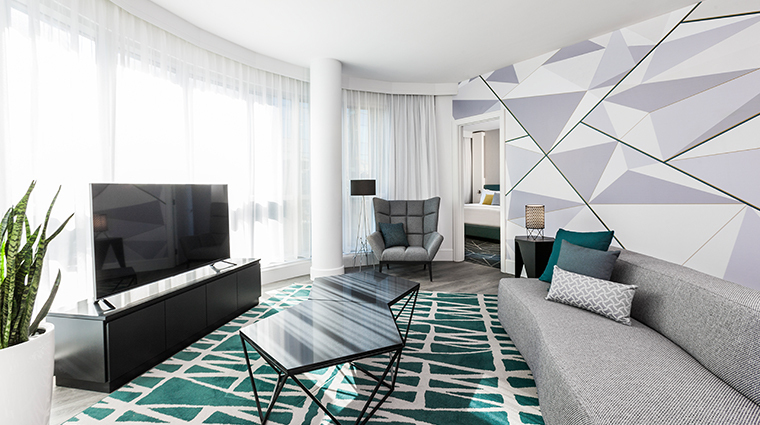 Look out for a luxurious refresh as the stylish Montreal hotel undergoes renovations on all of its suites beginning in November. Six new suite categories will be unveiled in late spring 2019, just in time for a Canadian summer vacation. 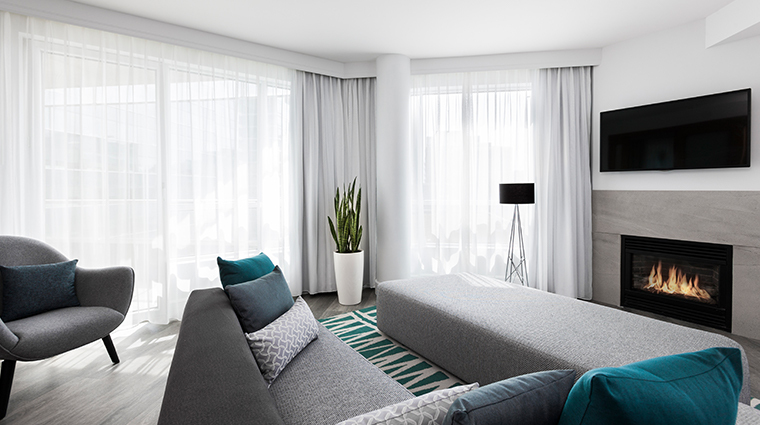 Think loft-like living for the open-concept guest rooms, which have clean lines and contemporary soothing colors and are all suites with separate living areas and bedrooms. Guest rooms have luxurious bathrooms with rain showers, super soaker tubs and Oneka bath products. The upgrade to higher level rooms are worth it — both Executive Suites and Penthouses have roaring fireplaces. Some Penthouses also have terraces with stunning views of the city. Recently debuted within the Forbes Travel Guide Recommended hotel, Siam Centre-ville serves up contemporary Thai cuisine for breakfast, lunch and dinner. The creative menu's offerings range from a light and slightly sweet mango salad to flavorful stir-fried bites and hearty curry dishes. A well-curated selection of vegan offerings ensures that everyone can enjoy a little Thai flavor at this brand-new eatery. Start with spring rolls or a papaya salad before digging into fresh entrees like sweet and sour tofu or vegan pad thai. The bar has an impressive list of signature cocktails, including the savory Tamarind Mojito (dark rum, lime, lemongrass and tamarind syrup) and the sparkling Taro Gin Fizz (gin, taro syrup, lime juice, egg white).